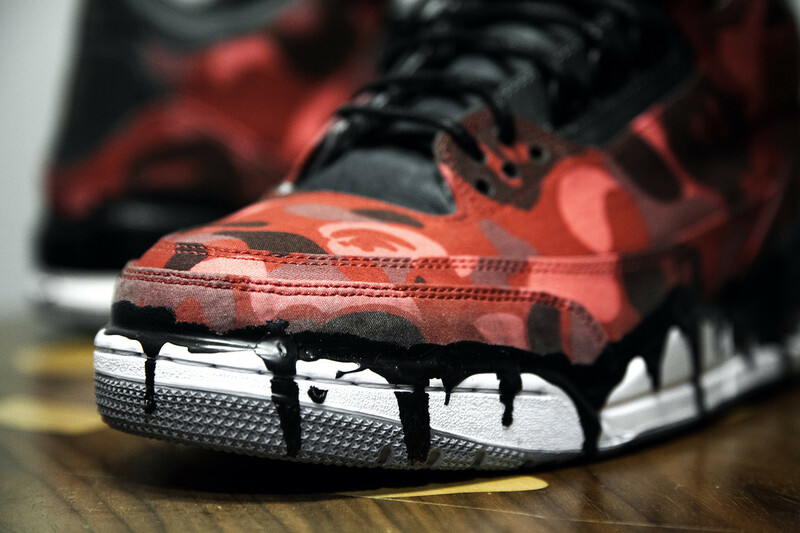 A little bit of graf stylin’ goes a long way in the world of kicks. These are the Bape Ice Cream jordan 3 (sold out), which cannot be found at your average Foot Locker or Finish Line stores. 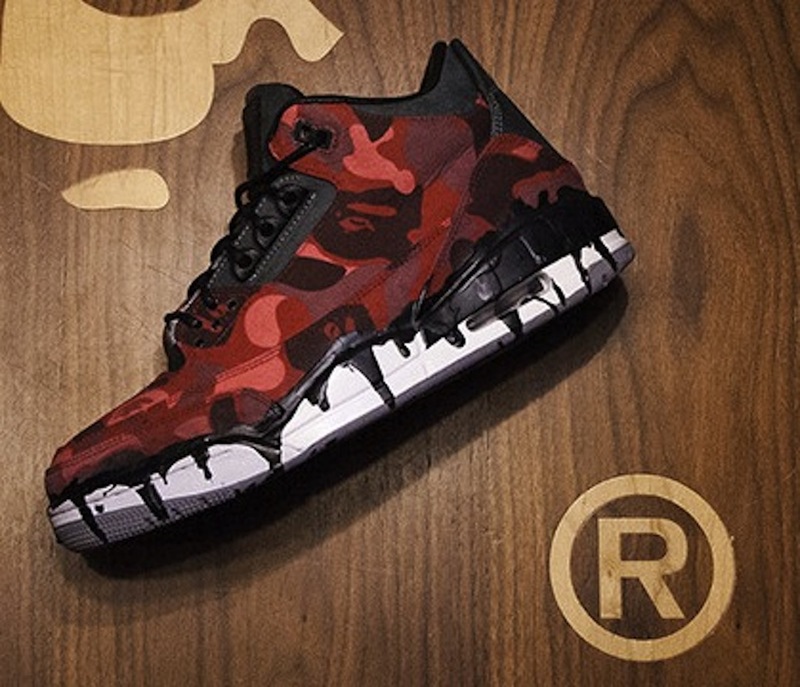 They have been designed by a graphics team named Absolelute. The camo material is made from a Bape jacket, and the old skool street vandal in me really appreciates the most is what they call the “ice cream drip” on the midsole, but we all know it seems more like some freshly squeezed graf ink oozing down a wall. 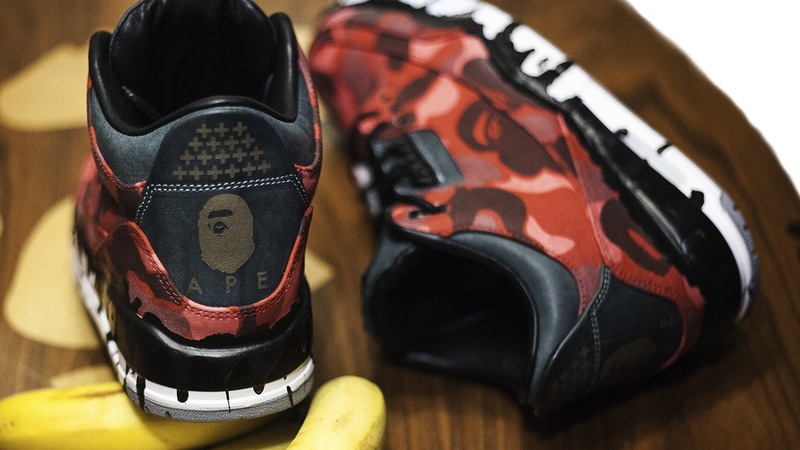 A nice touch of mid-level hi-top and, of course, the signature Bape gorilla hijacked from the original Planet of The Apes movies. I would love to see these mass produced, but they are a lovely work of art to boot.